Enjoy recreation amenities such as a 24-hour fitness center or take in the view from a terrace. This hotel also features complimentary wireless Internet access, concierge services, and a television in a common area. Satisfy your appetite for lunch or dinner at The garden grill, a restaurant which specializes in international cuisine, or stay in and take advantage of the room service (during limited hours). Relax with your favorite drink at the bar/lounge or the poolside bar. English breakfasts are available daily from 6:30 AM to 10 AM for a fee. With a stay at Town Lodge Menlo Park in Pretoria (Menlo Park), you'll be within a 15-minute drive of University of Pretoria and UNISA. 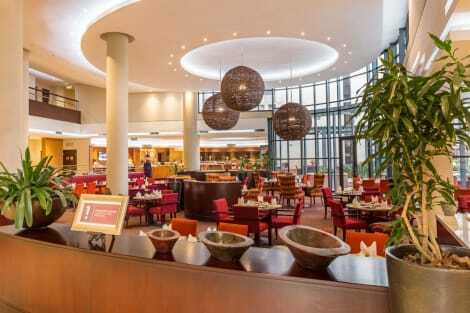 This hotel is 0.7 mi (1.1 km) from Brooklyn Theatre and 1.1 mi (1.8 km) from Pretoria Country Club. Enjoy recreation amenities such as an outdoor pool or take in the view from a garden. Additional amenities at this hotel include complimentary wireless Internet access and a fireplace in the lobby. Getting to nearby attractions is a breeze with the area shuttle (surcharge). Enjoy recreational amenities such as an outdoor pool and a 24-hour fitness center. This hotel also features complimentary wireless Internet access, a television in a common area, and tour/ticket assistance. Take advantage of the guesthouse's 24-hour room service. With a stay at Purple Olive Guest House in Pretoria (Wonderboom), you'll be within a 15-minute drive of Wonderboom Nature Reserve and Nawab Mariammen Temple. 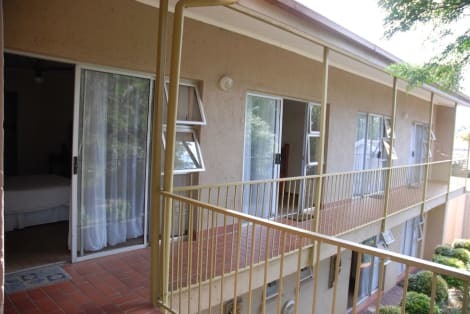 This guesthouse is 7.2 mi (11.5 km) from UNISA and 7.8 mi (12.5 km) from University of Pretoria. Featured amenities include laundry facilities and a safe deposit box at the front desk. A roundtrip airport shuttle is provided for a surcharge (available on request), and free self parking is available onsite. Enjoy recreation amenities such as an outdoor pool or take in the view from a garden. Additional amenities at this bed & breakfast include complimentary wireless Internet access and barbecue grills. Make use of convenient amenities such as complimentary wireless Internet access, a television in a common area, and a reception hall. Guests can catch a ride to nearby destinations on the area shuttle (surcharge). With a stay at The Park Lodge Hotel, you'll be centrally located in Pretoria, within a 15-minute drive of UNISA and University of Pretoria. This hotel is 0.1 mi (0.2 km) from Melrose House and 0.4 mi (0.7 km) from Burgers Park. lastminute.com has a fantastic range of hotels in Pretoria, with everything from cheap hotels to luxurious five star accommodation available. We like to live up to our last minute name so remember you can book any one of our excellent Pretoria hotels up until midnight and stay the same night.